This life is always asking for our attention. We can no longer ignore the calling from within our HEART. The Soul’s Whisper. It is time to answer. Moon Magick can help you discover the connection to your Higher Soul Self. 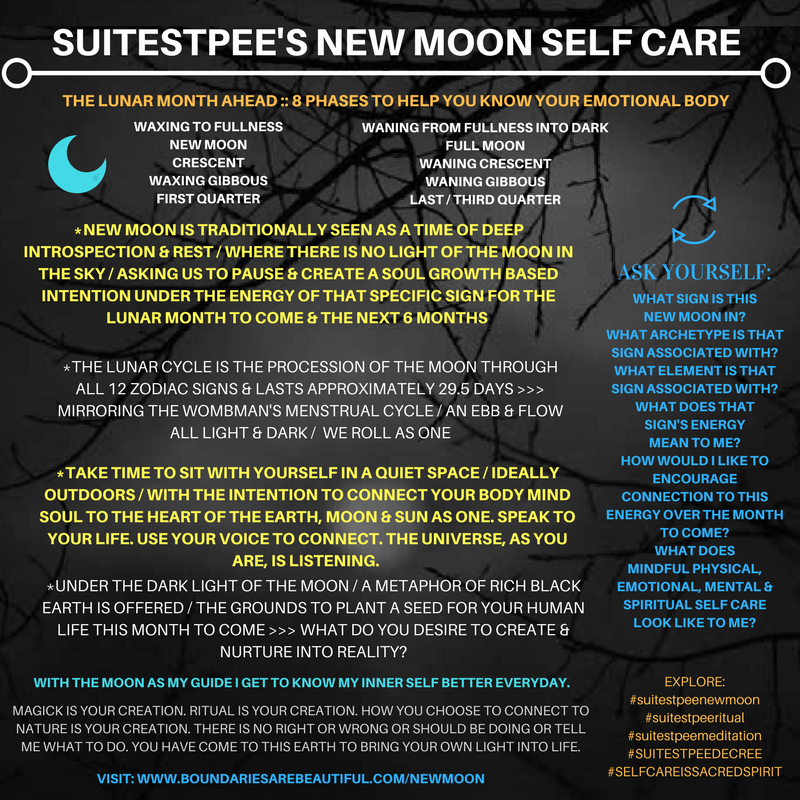 I began tracking the lunar cycle 4 years ago as a practice to feel more grounded & connected to Nature & my body. Now all this time later I feel divinely UNITED with the stars above. The vibrations move through my body. I understand the connection on an atomic level. We are EACH OTHER. WHAT DO YOU KNOW OF THE LUNAR CYCLE? WHAT DO YOU THINK ABOUT SPINNING ON AN ORGANIC SPACE SHIP IN THE BLACKNESS OF INFINITY? It is time we begin to ask ourselves some REAL NEW QUESTIONS. The Awakening has already begun. 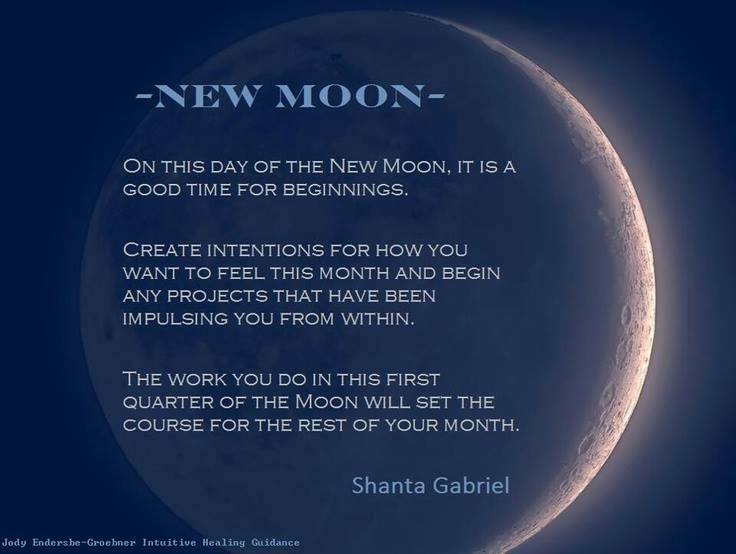 Let us honor ourselves & each lunar month beginning on the NEW MOON by planting our first seeds of INTENTION. Who do you desire to be? What do you desire to create in your life? What actions are you willing to carry forth in order to get there? 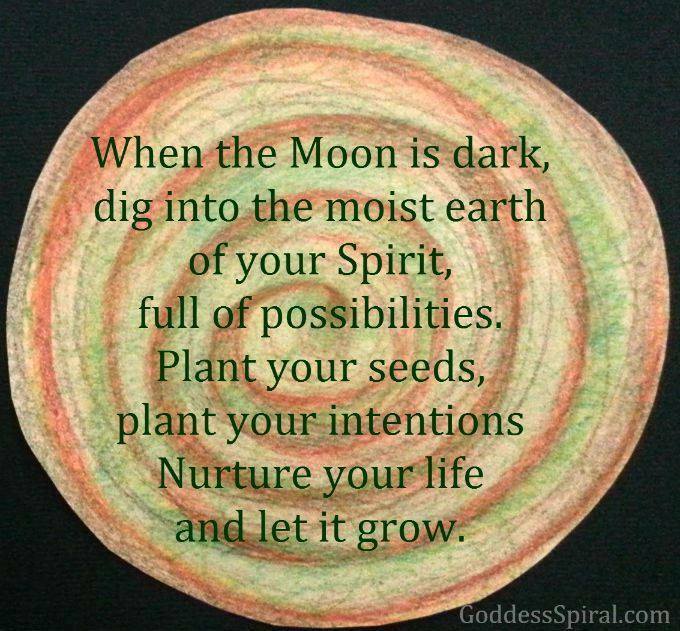 The Cycle of the Moon allows us to acknowledge the movement of Nature & teaches us grace & patience. The Moon’s influence on our emotions & psyche becomes apparent as you tune into her regularly. There is incredible peace in this knowing. & I desire to share all that has inspired me & activated me & guided me on my journey inwards. When the Moon is new, the Luminaries — the Sun and Moon — are aligned in the same Zodiac sign. That makes it a charged time with concentrated energies of that sign. 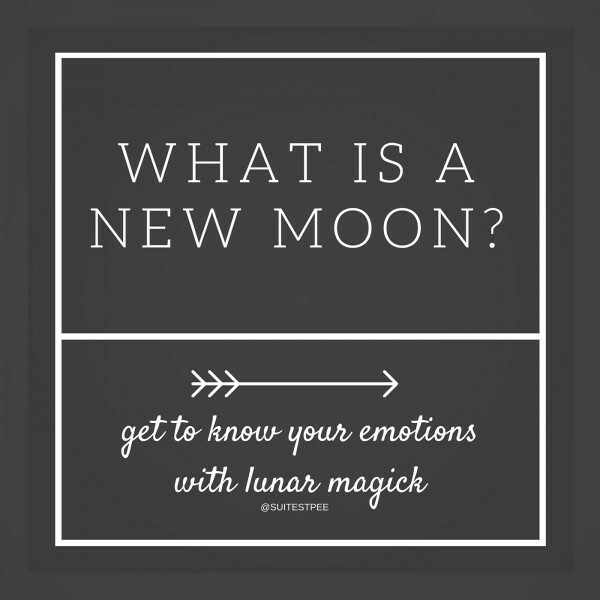 A New Moon is a symbolic point of attention, and a symbolic portal for new beginnings. 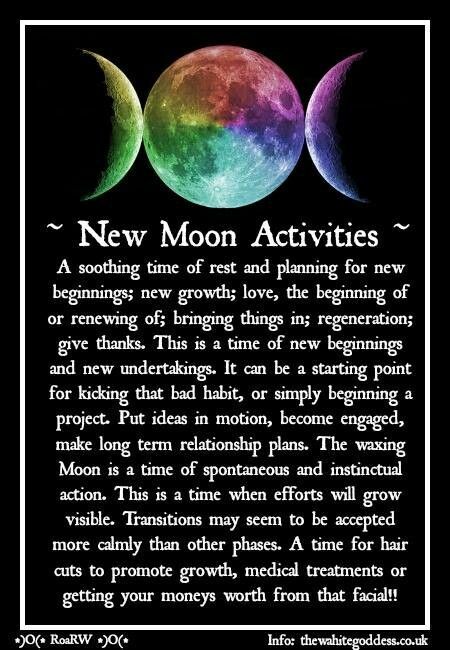 New Moons are a great time to set intentions for things you’d like to create, develop, cultivate, make manifest. There are many ways to initiate this communion with the Universe from lighting a candle to elaborate rituals. What matters is that you’re committing yourself to your vision, and open to receiving guidance, healing, support from Spirit. For whatever path you’re on, opening to working with planetary energies links you to the power of the divine. CLICK HERE TO EXPLORE THE POWER OF THE LUNAR CYCLE WITH EZZIE SPENCER! YOU CAN LEARN TO EXPRESS YOURSELF WITH THE SPIRITUAL PRACTICE OF FOLLOWING THE LUNAR CYCLE EACH MONTH. YOU CAN LEARN TO CONNECT WITH THE MOON IN YOUR OWN UNIQUE WAY BY MAKING INTENTIONS FOR YOURSELF AND USING THE ENERGY OF THE MOON TO FEEL PLUGGED INTO THE UNIVERSAL MIND. THIS PRACTICE HAS REVEALED UNIVERSAL ONENESS TO ME. THIS IS THE NATURE OF LUNAR MAGICK. YOU GET TO LEARN HOW TO FEEL WITH LUNA. AND YOU CAN LEARN TO FEEL THE MOON GUIDING YOU JUST AS YOU FEEL A FRIEND NEXT TO YOU. AS EARTH’S CLOSEST ALLY, THE MOON EMANATES A POWERFUL GRAVITATIONAL FORCE ON OUR HUMAN BODIES. SHE INFLUENCES OUR H20 MOLECULES AND GUIDES OUR EMOTIONAL PROCESSES DAILY AS SHE MAKES HER WAY THROUGH THE ZODIAC CONSTELLATIONS. 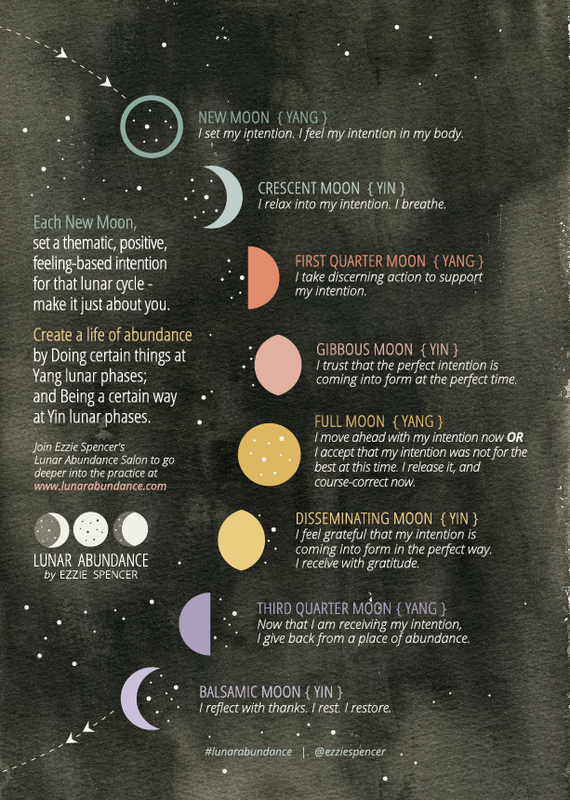 LEARN MORE ABOUT THE LUNAR CYCLE & CHANGE YOUR HUMAN LIFE WITH THE POWER OF THE MOON! “Astrologically, the Moon represents the emotional and feeling part of the psyche, along with intuition and creativity. It is our most immediate connection to the personal unconscious, and as such is our first connection to the non-physical realm. The Moon contains the most personal aspects of who we are, including our most primal need for interpersonal connection, the root of which lies in the relationship with our mother or primary caregiver and family-of-origin. The Moon symbolizes our need to receive nurturing and indicates what makes us feel nurtured, as well as how we like to nurture others. The Moon is our most primal Inner Child feelings, both in its fragile tenderness and its bawling glory. As our quintessential planetary emissary of the element of Water, the Moon’s energy moves fluidly and magically from one intuitive impression to another. When the Lights tango together across the sky in their dual dance from month to month, they create a swirling ebb and flow of Fire and Water, conscious and unconscious, assertive will and receptive intuition, Yin and Yang. Their combined cycle begins at the New Moon, when the Sun and Moon are conjoined at the same degree of the zodiac. This is also known as the Dark of the Moon, when the Moon cannot be seen in the night sky. The Moon is operating at her deepest level of the cryptic unconscious now, stirring our innermost feelings, needs and instincts toward the surface where they can manifest as lessons for us to learn and grow by. The Sun’s consciousness is not yet visible in the Moon’s depths and is like a mystery seed that is planted and will grow into…we don’t yet know what. “The Sun and Moon are conjunct at the New Moon. This does signal a tremendous concentration of energy, but it occurs outside our view. This suggests energy but little awareness, a common feature of beginnings. We like to think we direct ourselves into desired new directions, but more typically, we start our new cycles like the New Moon, in the dark. It’s much like conception, another divine conjunction outside our view. We don’t really know what we’ve begun until well after it’s started. ©Tessa Ridley/Self Care is Sacred. All Rights Reserved. 201.